Bangalore, February 6th, 2017: For those of you who have made New Year resolutions to hone your artistic skills this year, then here’s the perfect art class for you! 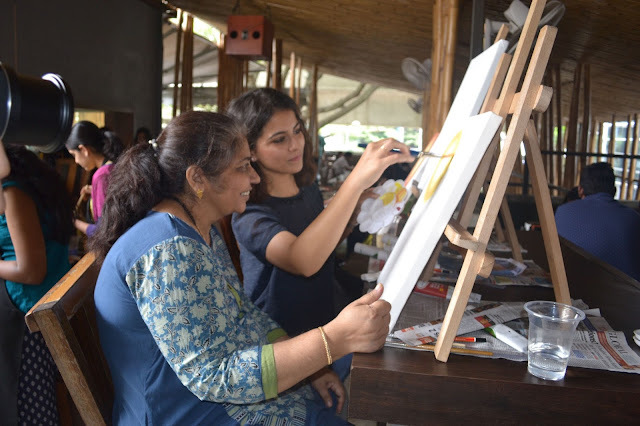 This weekend Three dots and a dash, Indiranagar brings to you yet another edition of ‘Paint over Pint’ on February 11, 2017 from 1 pm to 4 pm. Drop by and discover the creative genius in you over some lip smacking food and drinks! 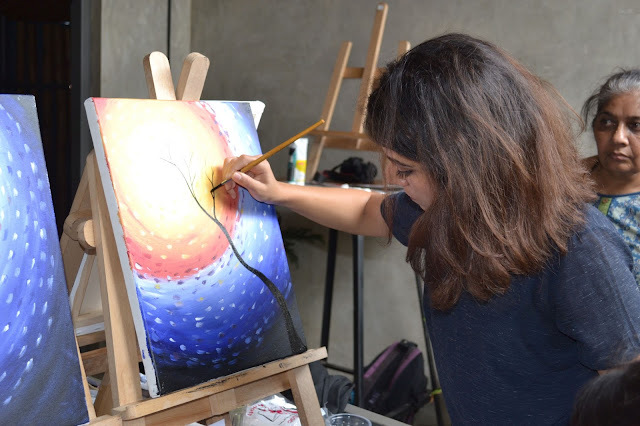 Jyoti Rawat of Soulful Art is a New Delhi based artist and a professional art educator with a unique style who does conceptual art in various mediums. She enjoys creating her artworks and has exhibited her work in various group shows. Being a professional art educator, not only does she take pleasure in sharing her knowledge about art and art history and the process of making, but she wants her students to experience art and understand how much it affects their lives. Jyoti Rawat has completed her Master's in Art Education from Jamia Millia Islamia, New Delhi. She regularly conducts workshops at various schools and corporate venues. She is passionate about making art simpler for everyone and loves to meet and interact with learners. 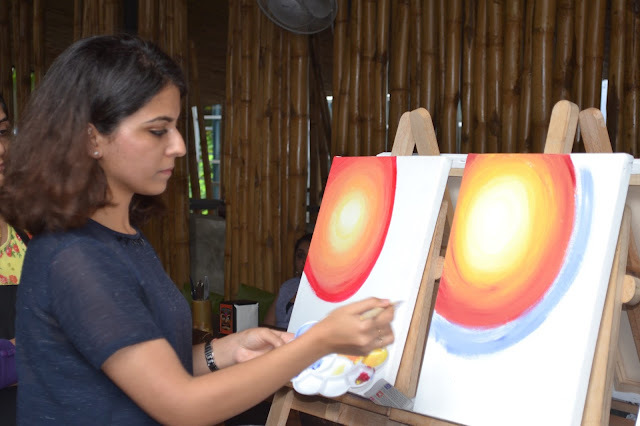 ‘Paint over Pint’ is a one of kind live painting event that not only provides a fun socializing experience for pub-hoppers but it also promotes young upcoming talent and artists in the city. 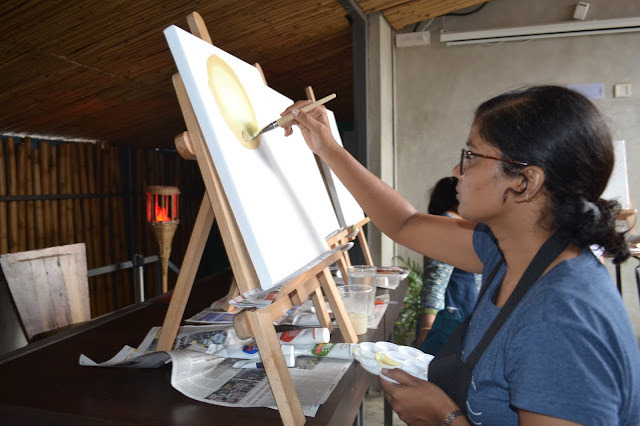 The three hour painting event is priced at Rs 1500/- and is inclusive of all the necessary painting equipments like canvas, paints, palette, aprons, brush and 1 alcoholic/non alcoholic beverage. For couples, the event is priced at Rs 2500/-. Discover the Michalangelo in you in just about 3 hours only at ‘Paint over Pint’ at Three Dots and a Dash this Saturday (February 11) and take home your masterpiece!